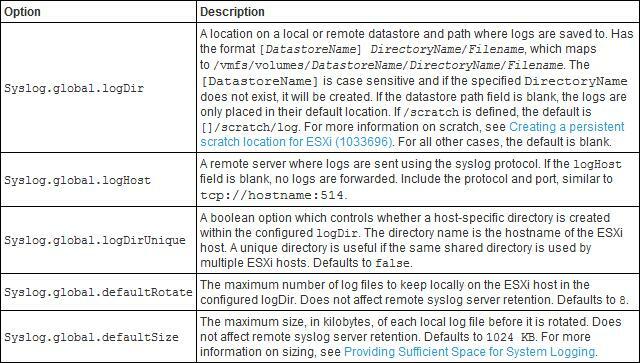 This article explains the ESXi 5 syslog in simple terms and its configuration. As all of you know, logs are the critical in troubleshooting any issue and they should be persistent after the system reboot. Syslog exactly does the same with couple of options, either to store logs on persistent scratch partition (local disk/ datastore) or on a remote syslog server. 2. Then navigate to "Configuration- Advanced Settings"
1. 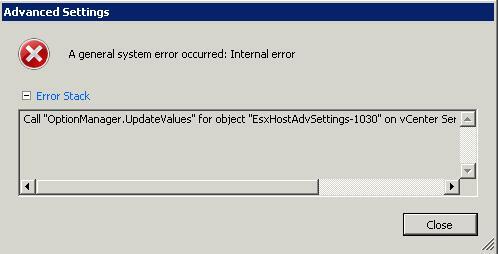 Login to ESXi host via Putty/ SSH or tech support mode and enter following commands. 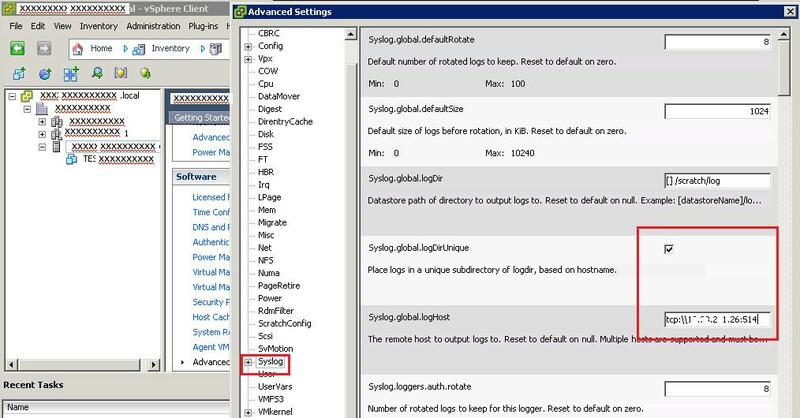 Screenshot form VMware with explanation on various syslog settings. Reason for the above error can be Syslog host, datastore is not reachable or syntax error. First make sure that you are entering the correct details. 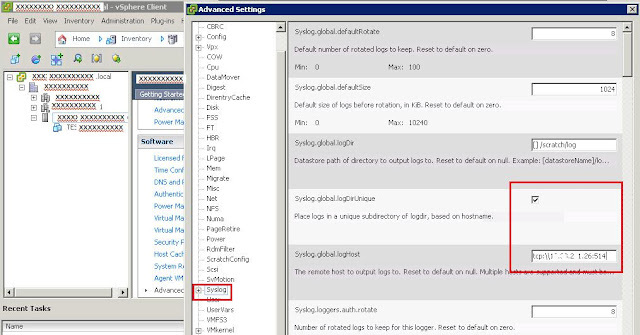 Then check whether you can navigate/ connect to sthe yslog datastore or remote server and try again. If you still fail, try executing command from command prompt to get more understanding on what is happening. Or execute “esxcli system syslog reload” command and then try configuring the syslog.